Happy Monday!! 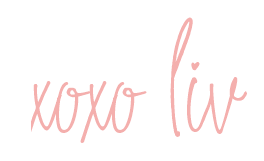 Today we are talking all things travel since I am leaving for family vacation tomorrow!! Yay!!! So excited to be heading to Florida!!! 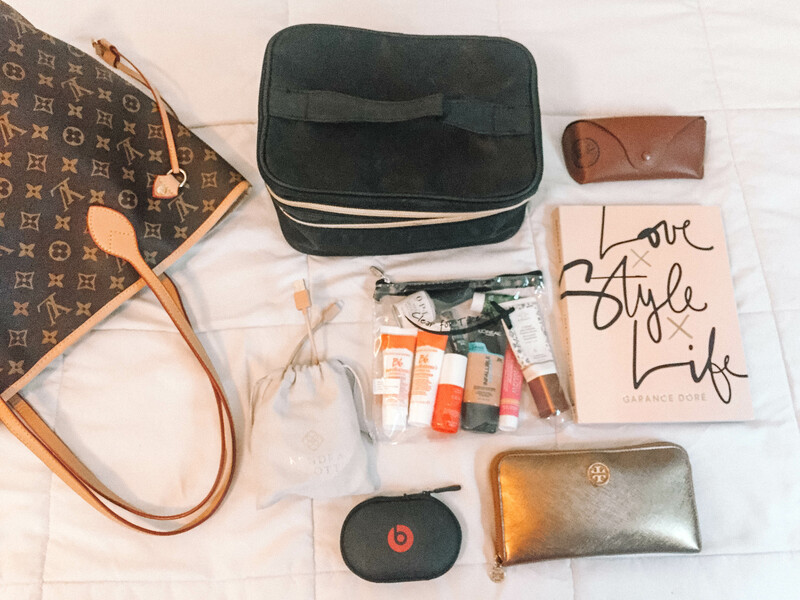 I am sharing a comfy travel outfit idea and everything I keep in my carry on bag. When picking my travel OOTD I like to be really comfy but also still look cute. I always opt for a sweater or cardigan because I am always freezing on planes. This one is from Wild Fox and I loveeeee it!! I also layer it over a tank in case I get a little warm. I always wear shoes that are super easily to get on and off to make getting through security a little but faster! You can shop my outfit below! 1. 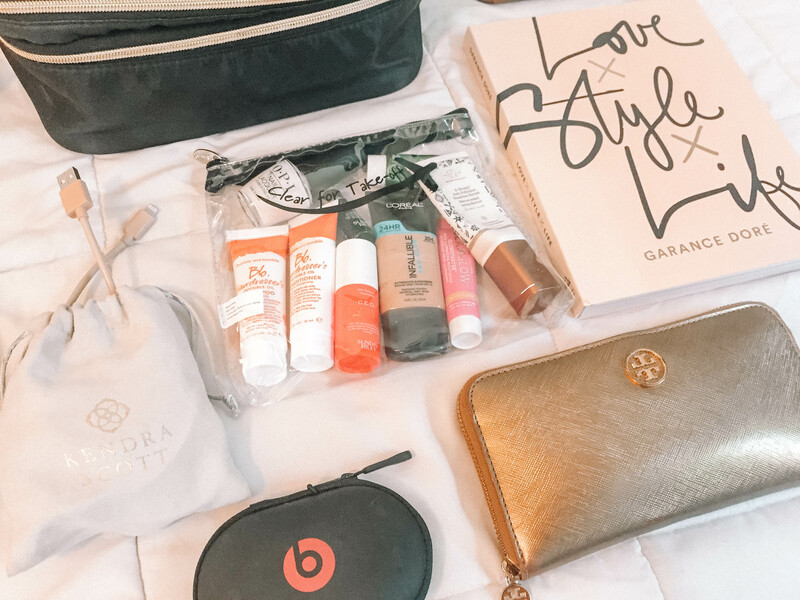 My makeup bag: I always keep my makeup bag with me because the checked bags always gets thrown around being loaded on and off the plane, so I want to make sure it is safe and sound! I also like having it incase my bag would ever get lost or stolen because it would be really sad to replace everything! 2. Sunglasses: I keep my glasses handy for when I’m leaving the airport. Nothing is worse than needing sunglasses and not having yours!! 3. Bag of liquids: I keep my bag of liquids at the top of my carry-on bag so it is easy to get through security. I like to bring as many of my liquids as possible in my carry on so that I can save weight in my checked bag to leave room for more clothes!! 4. Chargers: I always pack my iPhone charger, my watch charger, and my laptop charger in a little pouch and stick it in my bag! It keeps the cords from tangling and keeps my bag a little more organized. 5. Headphones: This is a necessity for me!!!! I would be lost without my Beats!! I love just putting my headphones on, turning on my music and relaxing or reading on my flight. Which brings me to my next item! 6. A good book: I love to bring a book or magazine on the flight with me because you can only stare at a screen for so long. Reading is so relaxing and on the plane is the perfect time to get some good reading in!! 7. Wallet: Last but not least I always need my wallet so I can buy all the expensive airport food! I try my best to resist but when I see a Jamba Juice I absolutely must get my overpriced smoothie!!!! That’s just about it!! Let me know if you have any questions. I will be sharing all about my trip over the next week so stay tuned! Thank you so much for reading. Make it a great week girlfriends!! !